The Music Department at Irvington Preparatory Academy currently offers four performing ensembles: Intermediate Band, Advanced Band, Intermediate Choir, and Advanced Choir. 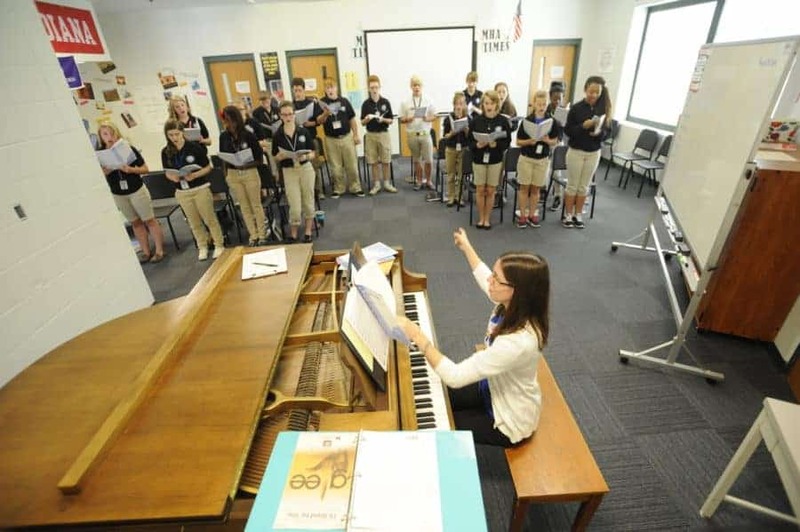 Students must dedicate themselves to band and/or choir for the entire school year. The other music electives include Music History and Appreciation, Piano and Electronic Keyboard, and Music Theory and Composition. These three classes are one semester in length. Mr. Jimmy Wingett teaches the band courses and Ms. Rebecca Beyers teaches the choirs and all other IPA music courses. If you would like to learn more about any of the choirs or general music classes offered here at IPA, please contact Ms. Beyers. If you would like information specifically about the IPA Band, contact Mr. Wingett.